It has plenty of information for different levels like color, appearance, rarity, source, attributes, healing abilities, position or placement the stones are most beneficial - it's all here. This audiobook is easy enough for me to enjoy listening to it every now and then, and complex enough for me to learn something each time I go through this book. I would recommend the book to anyone interested in this kind of subject. Thanks for sharing this to us Ms. Crystal Lee! 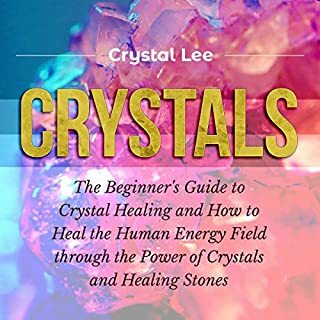 I enjoyed this book as gave me better clarity on the meanings of various crystals and how they can help on everyday life.This book explained everything I need to know about crystals. How it can help in almost every aspect of life, and where to find these crystals because I know that tt will help my body and every aspects of my life. A natural therapy that have a big role into my achievements . Especially a good relations to all, to be happy and contended for what I have. I will start to perform it into my life. It gives me inspiration and a lot of positive aspects. Thanks for sharing this to us, wish more guide to achievements. I enjoyed this audio book so much! A concise yet informative book covering what is a new area for me. This book provides everything about the alternative way of healing. I've really enjoyed listening to this book as it'll help you relieve headaches, backaches and stress. 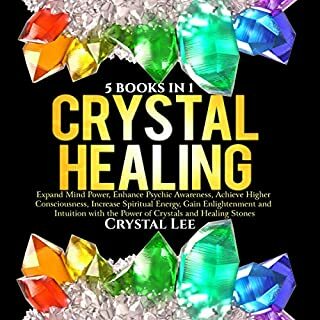 This book will also help you choose the right crystal. It's a good choice for someone just getting into crystal energy! 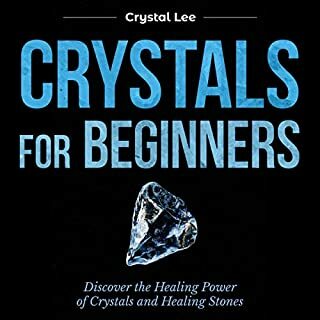 I'm now into crystals and I'm in the process of learning their spiritual properties; this book totally enhanced not only my relationship with Crystals, but also my knowledge of Crystals with their beauty and magnificence. I really enjoyed this book! 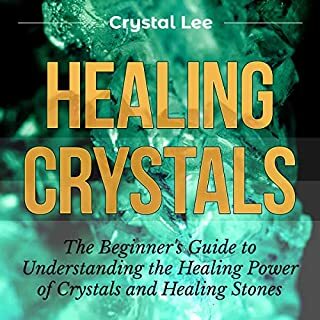 It's great for beginners and gives a lot of information that you will need to know about crystals and healing stones! This book offered thorough and accurate information that allowed me to quickly identify crystals. It is very informative for beginners who want to learn about using Crystals for healing. I enjoyed listening it because it was easy to understand and follow. 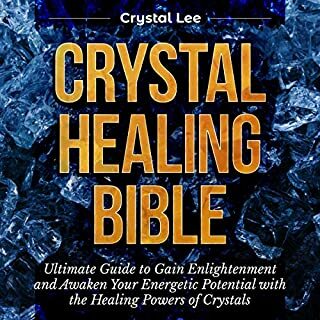 It also gives snippets of advanced practices that can be use in conjunction with the Crystals to amplify your Crystals energizes. This audiobook does deliver what it promise and provides tons of information as well as explanations about the subject. The author explains well in a very detailed manner and I myself was able to follow everything easily because of the clarity and simplicity of this book! Love lots Ms. Chloe Brisbane! This audiobook has opened the door for me in a lot of ways and with an honest and open approach, I found this audiobook to be amazing on many levels. I believe her book should be the one to pick up especially if you're a beginner. 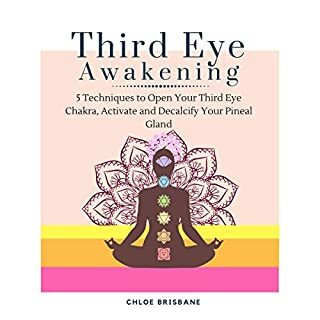 I've learned a lot from this audio book and also it broaden my knowledge about awakening the kundalini. The author made me realized that awakening kundalini is not that easy but very fulfilling task. This is a great book for anyone who'd like to get more info about kundalini. Perfect for beginners! 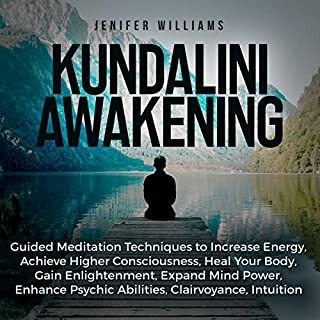 If you're into spiritual awakening or learning how to awaken the Kundalini inside you then this audiobook is for you! 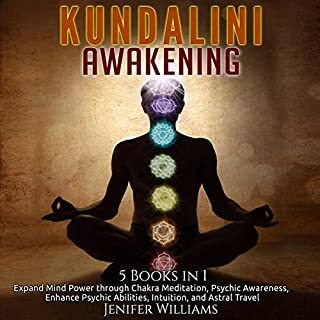 Everything you need to achieve enlightenment and awaken the Kundalini is here. It's a book for serious practitioners and beginners alike. Loved this book a lot! Narrator was easy to listen to with a soothing calm voice. I recommend this to anyone who is looking to improve themselves spirituality and understand themselves more and this is definitely geared towards people who are looking to get a base understanding of the topic. This is such a great resource for everybody!